Happy Saturday!! It's only 102 degrees outside! Not bad..considering the heat index yesterday was 115! Needless to say, I have been at my desk scrapping allll day. It's way too hot to venture outside. The July challenge from More Than Words was to be inspired by the word "beach" and "seashells". 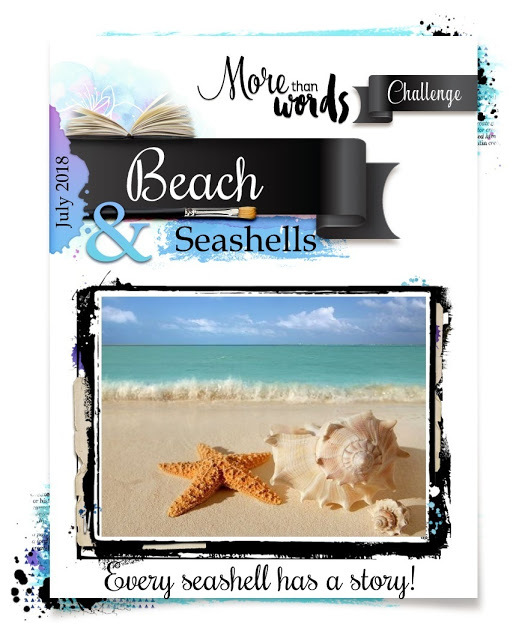 We also were challenged to add seashells on our project somewhere. I reversed the center of beach text paper. 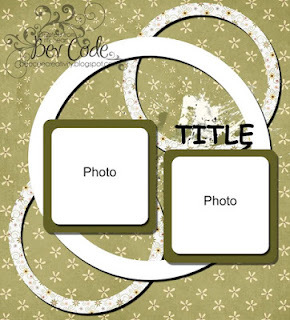 The chipboard circles are from Creative Embellishments. I used 2 different ink on them to get a color close to what I was looking for. I then added some fun wave and seashells stickers from Jolee's. The font on the letter stickers is one of my favorites! I wish I could find more like that! I'm happy with the results - but it also reminded me that i need to shop for more colors in inks and markers. Oh how adorable! I love those tiny shells! Thank you for playing along with us at More Than Words! Absolutely awesome! Your layout is rockin'! Thanks for playing along with us at SIT!